B.A. 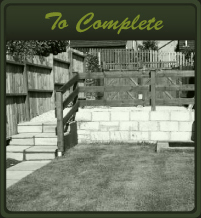 Turf is a general purpose turf, combining a quality appearance with hard wearing capabilities. Ideal for lawns and general landscaping. 1. Grown from the latest top quality seeds. 3. Grown on premium loam soil. 4. Freshly cut to order. 5. No minimum order requirements. Turf roll dimensions are approximately 54" long, 16" wide and 0.5" thick, resulting in a square yard. B.A. 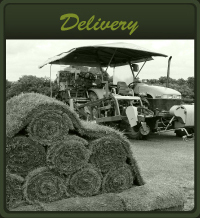 Turf can be delivered to any region, cost depending on volume and distance with reductions for large quantities. Alternatively you may collect your turf from our base. Damaged or unreturned pallets are charged at £5.00 + VAT. Ensure 4" ~ 6" of good topsoil, free from weeds, stones and other debris. Rake to a fine tilth lightly consolidating. If the soil is of poor structure, an application of sand and peat will be beneficial. Apply a base fertiliser at 2 ~ 3 oz per sq. yard. Lay your turf as soon as possible after delivery the turf bed should be moist to a depth of 4" ~ 6" inches, working from boards lay the rolls along a straight edge. Butting closely end to end with staggered joints on subsequent rows. Ensure good contact between soil and turf by lightly rolling after laying. It is imperative you thoroughly soak the turf immediately after laying. Make sure the water soaks through the turf to the underlying soil. In dry weather spells continue to water preferably in the evenings when it is cooler. Mowing can take place as soon as the turf has knitted down with new root growth, usually 2 ~ 3 weeks after laying. 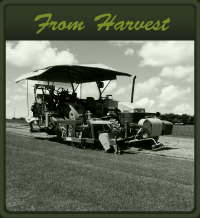 Do not cut the turf too short during the early mowing period.